A House committee has approved a bill that would require certain couples who have children and are seeking a divorce to go through an Oklahoma Marriage Initiative program before the divorce is granted. House Bill 2249 by Rep. Jason Nelson, R-Oklahoma City, passed the House Human Services Committee on Wednesday by a vote of 6-2. It would need approval by the full House and then the Senate. The bill would require couples who have a minor child and are seeking a divorce on the grounds of incompatibility to attend and pay for a program to educate the parents on the negative effects of divorce on children. The bill states that if the Oklahoma Marriage Initiative has created or approved such a program, then the judge must order couples to attend that program. If the initiative has not created the program, then the courts must use volunteers, including adults who were minors when their parents divorced and who can speak to the negative effects of divorce. 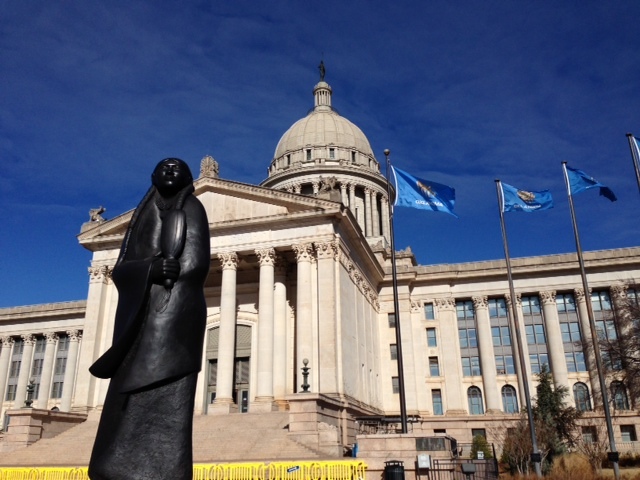 The Oklahoma Marriage Initiative was introduced by Gov. Frank Keating in 1999, with the goal of reducing the state’s divorce rate by one-third by 2010. The state provided the initiative with $10 million in discretionary Temporary Assistance to Needy Families, or welfare, money to get the program up and running. The initiative’s goals were scaled back in subsequent years. It now offers workshops and outreach with a focus on marriage sustainability and promoting healthy relationships and families. Since 2000, about 350,000 people have gone through Oklahoma Marriage Initiative courses or training, the group says, and most who have attended report high rates of satisfaction. The Oklahoma City-based public relations firm Public Strategies manages and operates the Oklahoma Marriage Initiative, contracting with the Oklahoma Department of Human Services to receive funding. Between 2002 and 2013, Public Strategies received more than $70 million in federal funds to promote marriage in Oklahoma, according to an Oklahoma Watch report in November. Of that, Oklahoma provided around $58 million through federal discretionary TANF funds, while the federal government has awarded the company around $13 million in grants. In 2013, former House Speaker T.W. Shannon authored a bill, eventually passed into law, to provide discretionary TANF funds to the Oklahoma Marriage Initiative to pay for public service announcements promoting marriage. Those PSAs are to be developed in the latter half of this year. The Oklahoma Marriage Initiative would likely develop and oversee the program’s curriculum, since it has developed programs and conducted research on relationships and marriage in the past, Nelson said. The program would likely be offered through video and the cost should be minimal, he said. If some other organization developed curriculum for the program, the Oklahoma Marriage Initiative must first approve it, he said.